Mission: To study and make recommendations to the Governor and General Assembly concerning the prevention of infant abuse and neglect in Missouri. Compensation: Members shall serve on the task force without compensation but may, subject to appropriations, be reimbursed for actual and necessary expenses incurred in the performance of their official duties as members of the task force. 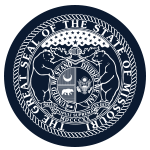 Member Requirements: Members appointed by the Governor include: A SAFE CARE provider as described in section 334.950; A representative of a child advocacy organization specializing in prevention of child abuse and neglect; and A representative of a licensed Missouri hospital or licensed Missouri birthing center. The task force shall expire on January 1, 2017, or upon submission of its report.